Until 1952 in the territory of the Azerbaijan Republic which is part of the Soviet Union, each department or ministry to protect their ownership of the entire property were obliged to keeps a guard position because of non-existence of particular organization indicating a security service. October 29, 1952 the Central Committee of the Communist Party of the Soviet Union’s and the USSR Council of Ministers’ decision on «Protection workers’ beingused in industry, construction and of other branches of the national economy, on improvementmeasures of the protection of economic entities of organizations and ministries” was made and thus laid the foundation of protection organization aback the enterprise. Special services of police agencies - guard and security service aback the enterprise - was created and shopping facilities, as well as the protection of a number of industrial enterprises and organizations were entrusted to them. The Department of Defense included into Police Department of the Ministry of State Security of the USSR had a function as the central governing body. 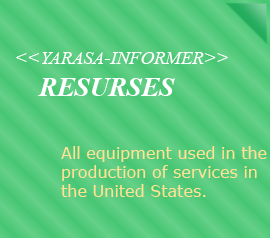 At that time similar structures were formed in the Ministries of State Security of the union republics. In the State Security Ministry system the aback enterprise protection operated for a short period but since 1955 has become a part of the USSR Ministry of Internal Affairs. After the Ministryof Public Order Security of the USSR was established aback Enterprise Security Department was founded under the Decision № 129 in accordance with “exemplary aback enterprise protection regulations in internal affairs organs”approved by the USSR Council of Ministers, dated February 18, 1966.Replacing the guards and brigadiers serving in the routed /revolving posts with the ordinary militia and low chief (USSR Council of Ministers’ Order dated 10 May 1967) and at the end of 1970 the creation of the "night Militia" laid the foundation for future development of the new Guard units. October 18, 1991 in connection with the adoption of the Constitution Act "State Independence", the Ministry of Internal Affairs of the Republic of Azerbaijan, with the composition of the Security Department came out of the Ministry of Internal Affairs of the USSR and became the agency of the sovereign Azerbaijan Republic. 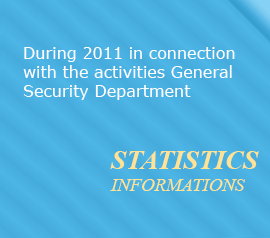 Since 1995, the Security Department of the Interior Ministry began to implement significant changes. These changes were due to the country's active integration into Europe. Such integration of course, in all areas, including issues such as the protection of property owners includedthe reaching European standards. The changes in the service discussed a wide range of security issues. Thus, in this case, the level of training of the personnel, their clothing to the uniform was covered in all fields. One of the most important trends of change in the Department was the replacing of serving policemen with civilian employees. The reduction of State policewas compensated by establishing of the Civil Protection Service structure. The increase in the number of objects in the territory which were in need of protectionas well as the police officers caused to the establishment of such a service.